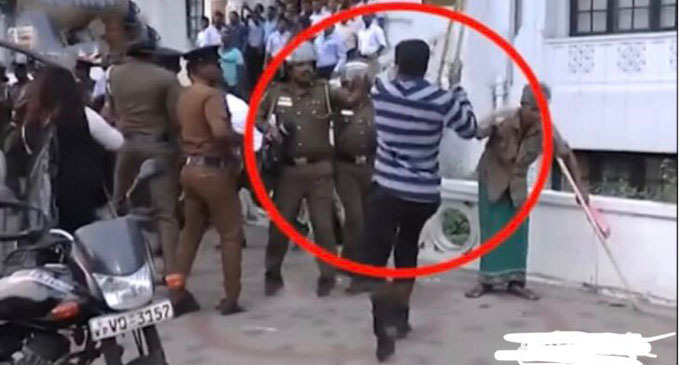 (FASTNEWS|COLOMBO) – Pakistan Press Foundation (PPF), in a letter to President Maithripala Sirisena has expressed concern over the disruptive incident taken place at the State-owned, Associated Newspapers of Ceylon Limited (ANCL – Lake House) on Thursday (13). PPF Secretary General Owais Aslam Ali has condemned this incident and termed it an attack on Media Organisations. PPF also called on the Authorities to immediately investigate the matter. According to Free Media Movement (FMM), on 13 December a group of United National Party (UNP) supporters gathered outside the Lake House after the Supreme Court’s decision on the dissolution of Parliament. After the verdict of 26 October, the tense situation regarding the democracy and media freedom has been ended in the country.